Weston, MA Ukulele Lessons Near Me | Fun Classes. Top Teachers. 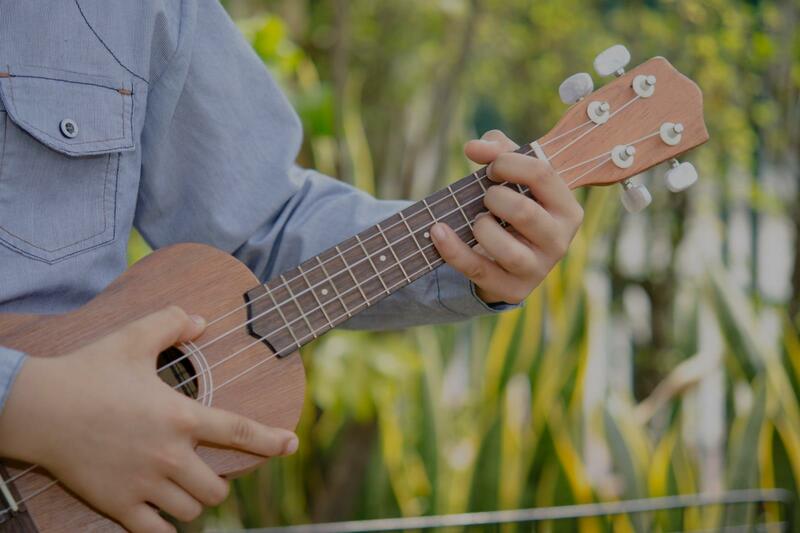 Ukulele is a fun beginner instrument and is easier on the fingers than guitar, but it can also be used to play any kind of music, no matter how unlikely or complicated. I play jazz on them sometimes, and there are countless videos on YouTube of uke players attempting heavy metal and actually pulling it off. Sometimes abbreviated to uke, it is a member of the lute family of instruments; it generally employs four nylon or gut strings or four courses of strings. Some strings may be paired in courses, giving the instrument a total of six or eight strings. The ukulele originated in the 19th century as a Hawaiian adaptation of the Portuguese machete, a small guitar-like instrument, which was introduced to Hawaii by Portuguese immigrants, mainly from Madeira and the Azores. The tone and volume of the instrument vary with size and construction. Ukuleles commonly come in four sizes: soprano, concert, tenor, and baritone. If you just want to play songs I'm happy to teach you the songs you love. I can also teach you to become a musician by teaching from the beginning with the very basics of finger placement, reading, notes, rhythms, songs, scales, theory and improvisation....or, we can do both! play the songs I love. He is a talented teacher and musician. He is always helpful in answering questions and is great a encouraging me." "Gene is incredibly patient and always has materials ready for the two of us to work with. I am so lucky to be working with him as I learn a new skill." "Dave is really great - sent me very helpful materials, and suggested songs that I enjoyed and were easy to play. I was playing after my first lesson!" "Max was great. He is very skilled teacher and player. I look forward to working with him this year,"
Boston, MA teacher: Maximillian L.
"Exactly what I was looking for in a ukulele instructor"